I wanted to share another layout with you using the Gossamer Blue April Kits. I took my daughter out to get some pictures on her birthday. It was a great day for pictures. I used alot of Crate Paper on this layout. Beautiful page, Angie! Love the floral clip and other little touches. I love the photo and the design of the paper. Just enough glitter and bling! Love love love! Just darling. My GB kit should be here today.. I can't wait! 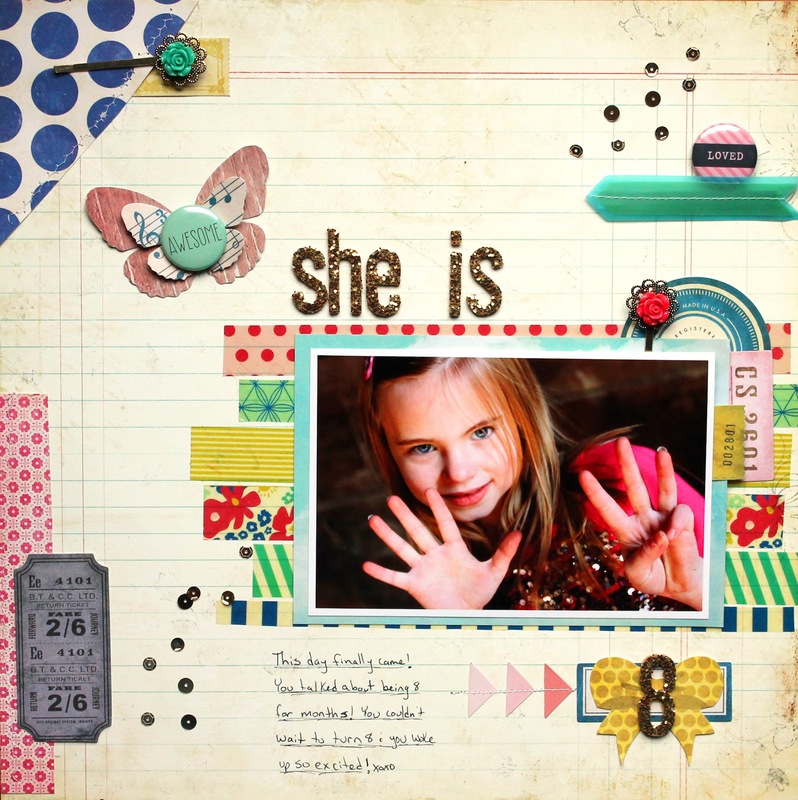 Darling girl and such a fun layout.